Nuts and Bolts chassis: Scaleauto vs Plafit? I've been in this slotcar game for many years, and I'm always fascinated by the flavours of the month as far as brands, makes goes. With the demise of the European IMCA site, and JPVR's sandpit, there is no longer an "active" forum relating to nuts and bolts type racing as far as I can see. You really need to dig around and only once you know who's who in the zoo, do you then find a myriad of alternate chassis kits and brands, all of which are loosely developed and modified from the original basic nuts and bolts chassis\manufacturers. So, ignoring the commercial brands and aspects of the plastic chassis brigade, the current "easily available brands' are Scaleauto and Plafit. I'm interested to see the pros and cons of these two based on pure performance, ease of use, and price. To compare apple with apples, the Scaleauto comparison must essentially be the basic flat pan chassis with NO suspension or motorbox, eg: the SC8003C setup, and the Plafit being the standard 1700 SR2 Kit. For simplicity sake, let's keep both setups to the same Scaleauto motor and gear ratios, and sponge wheels all round. Which do you think, would be better and why? Good topic! I am keen to hear the responses. For simplicity sake, let's keep both setups to the same Scaleauto motor and gear ratios, and sponge wheels all round. I think you meant sponge "tires"...right ? I have a coupla Plafit chassis, one in 24th and one in 32nd. Handle well on my wood track. Both have been changed to foam rear tires with stock fronts. Though the 24th car will get a different front wheel and tire one of these days. Also, both of mine are of the "flex" chassis design. Curious to see how the test goes. Its a fundamental question aimed at the geometry of the two chassis? and the price difference.. In our neck of the woods, SC is PLENTY more expensive, and I don't really see why? No, you said "sponge wheels"..! Foam "wheels" would be a bit of a pain to mount tires to and drive on ! Yea, all over the net, the Scale Auto chassis are more money than the Plafit. 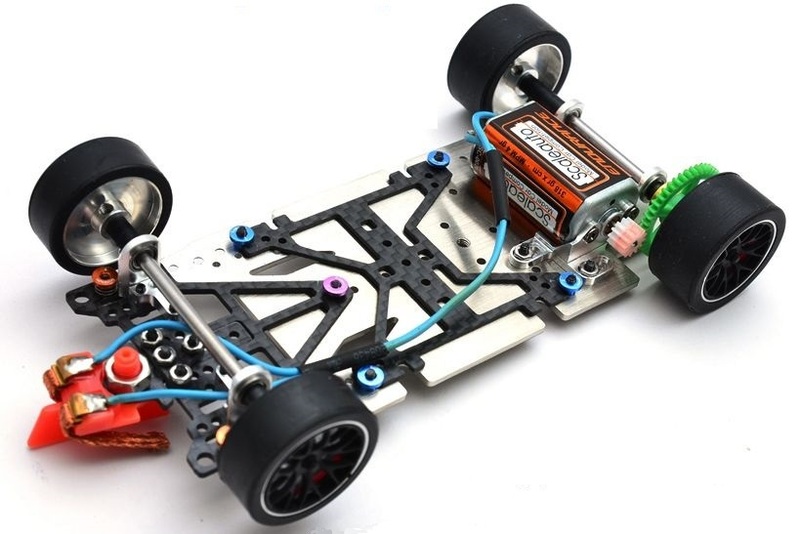 I prefer the look of the scaleauto chassis, it looks more like a racing chassis. Last edited by Brumos RSR; 09-12-2018, 07:03 PM. Interesting. So...you're more into looks than performance ?